Pioneers in the industry, we offer precision brass turned components from India. 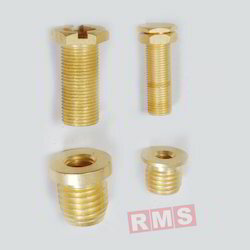 Owing to highly advanced infrastructural setup and immense knowledge, we are engrossed in offering a precision-engineered assortment of Precision Brass Turned Components. Our offered product is designed by utilizing finest grade materials at state-of-art production unit. Post manufacturing process, the entire array is rigorously inspected against numerous quality parameters to ensure its quality.